"I love your new haircut." "That blouse looks lovely on you." "Dinner tastes delicious." We all tell little white lies from time to time. Mostly, they're to protect our loved ones' feelings and don't cause any harm to anyone. But lying on your Lake Havasu mortgage application could send you to prison. Mortgage fraud is serious business. And it appears to be on the rise. As prices and interest rates rise, buyers feel added pressure to own a home right now. In a competitive seller's market like Lake Havasu real estate, this is especially true. 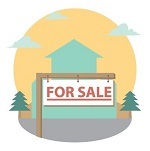 According to the Washington Post, a growing number of home buyers use illicit tactics to pad their incomes. In fact, mortgage fraud is up 22.1% from last year. How do they do this? How else? They hit the internet. Several sites offer everything from fake pay stubs to fake "gift" letters. Some even answer phone calls from your mortgage company to "verify" the information you provide. When desperate to own a home, some buyers resort to an "any means possible" stance. But this creates a ripple effect that could be felt even by truthful applicants as well as the entire real estate industry. 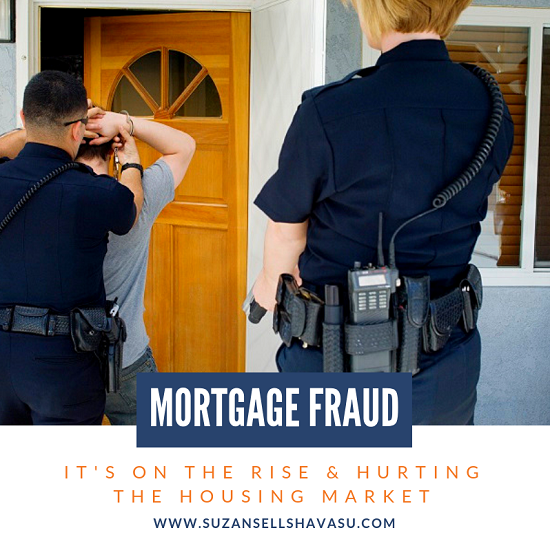 Mortgage fraud comes at a heavy price. And I'm not talking about the fees involved for these nefarious tactics. If your "little white lie" is found out, your mortgage application will definitely be declined. If you're extremely lucky, that's all that will happen. However, let's say the fraud isn't discovered until after you take ownership of your Havasu home. Your lender could hike up your interest rate. They might even demand an immediate payment in full of your entire loan. And they'll be legally allowed to do so. If you can't pay, you'll have to vacate and the bank takes over your property. Also, mortgage fraud gets you in serious trouble with the IRS...like a $1 million fine and as much as 30 years in prison. The IRS does not play around. You might think that you're just telling a "little white lie" when you pad your income on a mortgage application. You're not. Instead, you're committing mortgage fraud. And if the current trend continues, the entire real estate industry could experience another crash like the one we saw 10 years ago. It's not worth the risk. If your debt-to-income ratio doesn't fit a mortgage company's guidelines, either shop around or work on lowering your debt. The consequences of mortgage fraud aren't worth the risk.